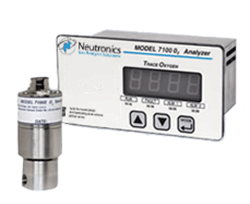 Neutronics Inc. was formed in 1976 with a focus on the measurement and control of oxygen and other gases for safety, environmental, and general industrial applications. 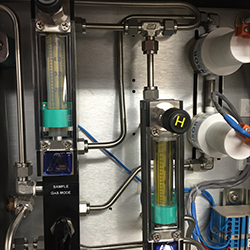 In 1978, a large chemical company, after experiencing more than a decade of numerous flash fires, selected Neutronics to provide a new, state-of-the-art, oxygen-based inert gas control system to address this serious problem. 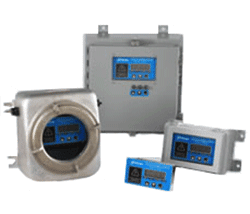 The Neutronics Inert gas Control System (ICS) is now the recognized industry standard, with over 10,000 installations worldwide at many Fortune 500 companies. 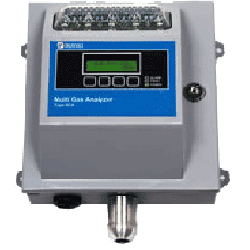 Today Neutronics supplies high purity gas and oxygen analyzers for process control applications, oxygen analyzers for personal safety applications, analyzers to optimize nitrogen usage for tank blanketing and inerting control for liquid and powders, and sample conditioning packages to ensure accurate and reliable gas measurement. Visit the Neutronics website for more information or fill out the contact form below.